My lovely RL partner, Lord Andy, is great pals with our very own Mr Sword Starfall, and between the two of them, they are real folk aficionados. Andy is a musician and has played in folk bands back in the day, as well as working for the popular Brit folk band, Fairport Convention (and we all know that Mr Starfall is a huge Fairport fan), so that all works out very conveniently. 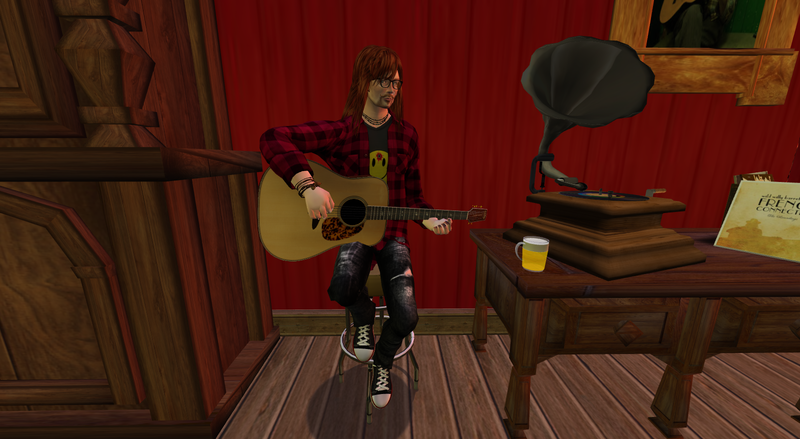 Sword suggested that Andy should put together a playlist of some of his favourite folk tunes, and come in-world to introduce them with a little background trivia. Here are a few of my favourite tracks from the list, so you can enjoy them yourself, and see the ‘alternative’ side of the folk set (I’ve put the full list at the bottom of the page). This entry was posted in Guest DJ, Show, Uncategorized and tagged alternative, folk, Lord.